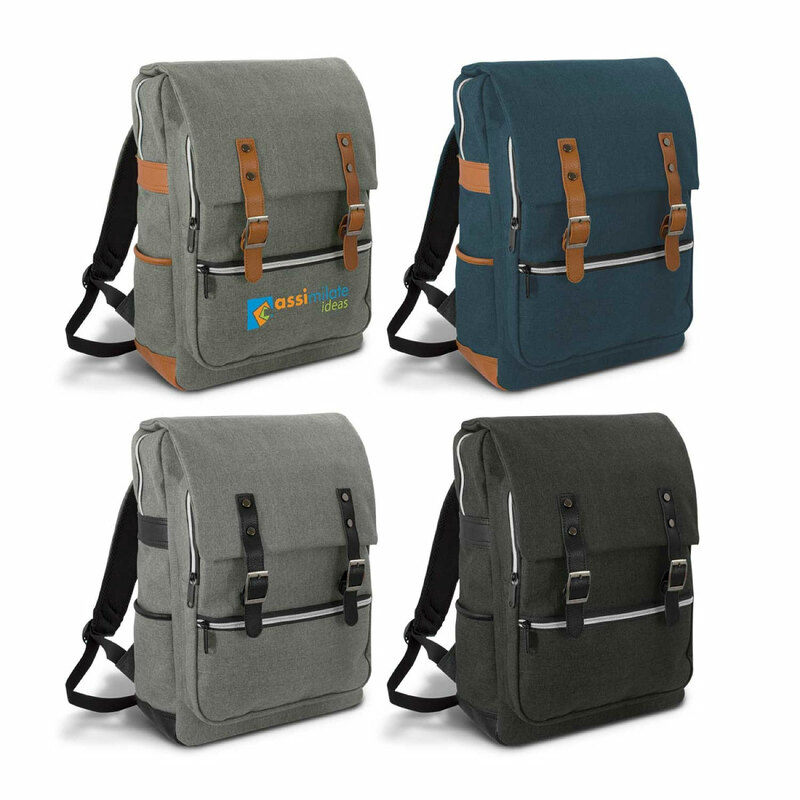 Where fashion meets function these bags excel! 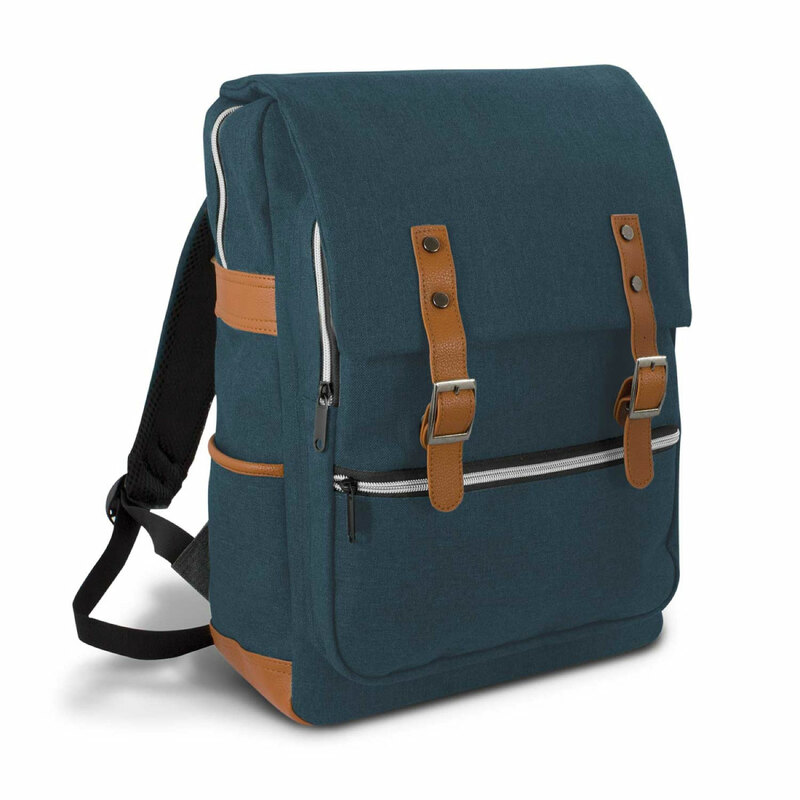 These trendy backpacks are flying out the door. They host all the hallmarks of quality, modern style and can be personalised with your logo branding or message. The bags feature a heather two-tone look and have smart leather-look accents and a rectangular profile. Features include: Extra protection of a padded folder over flap (magnetic closure), adjustable straps, electroplated finish gunmetal buckles and rivets, heavily padded main compartment with laptop sleeve, padded outer compartment, zippered external pocket, 2 external side pockets, electroplated silver zips.